5 Bedroom Detached House For Sale in Doncaster for Guide Price £480,000. This beautiful detached family home is deceptively spacious offering five bedrooms over two floors and modernised throughout to the highest specification. Situated in the popular village of Burghwallis, peaceful and boasting lovely views over the surrounding countryside with the side elevation looking down towards the open fields. The property itself is positioned in the heart of the village on Well Lane and enjoys a high level of privacy. Steps take you up from the driveway to the front door. The ground floor comprises, entrance hall, cloakroom, fourth bedroom with dressing room and ensuite, spacious lounge, dining room, kitchen, utility, single toilet, and bedroom five / study. Second floor consists: Bedroom One, Bedroom Two and Bedroom Three all benefiting from ensuites and a further family bathroom. This property boasts downlights to ceiling and double glazing; a highly efficient property with endless storage. The outside of the property has been very well maintained, offering Al Fresco living which can be enjoyed on the peaceful decking setting which is surrounded by open fields. Ample parking is available on the double driveway and double garage. To the front and both sides of the property there are lawned areas with pathways. To the rear is a substantial decked area which has built-in spotlights. There are also up lights and a large rockery with water feature. Contemporary slated areas to the rear including reclaimed railway sleepers. New fencing to rear and side of the property. Far reaching views. The village is situated amongst mixed farmland and woodland on a slight rise roughly six miles north west of Doncaster, or one mile off the A1. The village is one of a handful in the area to have retained much of its original character and has a very peaceful small-scale rural feel. The motorway network is easily accessible with links via the A1/M18/M62 leading to Sheffield, York & Leeds, Adwick Train Station is only 2 miles away leading to Doncaster Train Station which commutes to London within 1hr 30 mins and to Edinburgh Intercity Link. Air travel is also feasible from the Doncaster Sheffield international airport. The popular Doncaster College is also a short distance away. We wanted to live in this house firstly because of how private it is and the lane really helps with this, as it is only used by us and one other neighbour. Secondly the house itself offers a lot of space and flexibility within it for accommodating family, entertaining, etc. We have stunning views from all over the house, both inside and out and some lovely countryside walks or biking trails, including into neighbouring villages. It is relaxing and peaceful here but we also have great access links, both North and South, which means that we can easily get wherever we need to without a challenge. 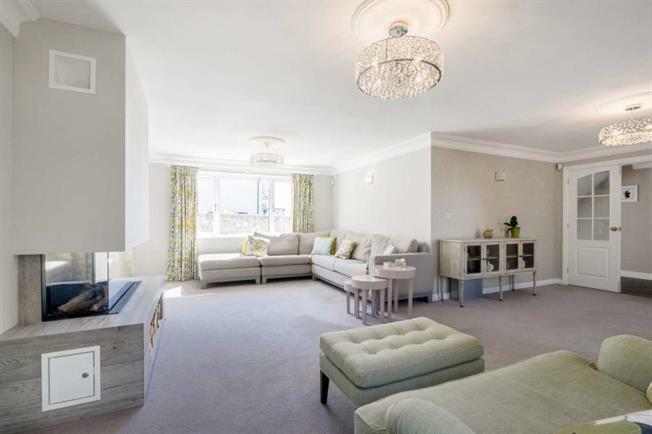 Viewings Are A Must To Appreciate This Impressive Property.